You don’t need formal training to express yourself so long as you’ve got passion. That’s what you learn when you browse the quilts, sculptures, paintings, and more than make up the American Folk Art Museum’s 7,000 + item collection of works from self-taught artists. The Onassis Foundation USA’s mission is to bring art from Greece and around the world to NYC with the intent of inspiring social change and justice. The Asia Society uses art to promote understanding and appreciation of Asian culture. BxMA 800 plus permanent collection focuses on American 20th century and contemporary art. The museum has also showcased the works from Latin Americas, African, and Asian artists. Pay what you wish, Thursdays 2 p.m. to 6 p.m. and Sundays 4 p.m. to 7 p.m. When it opened in 1899, the Brooklyn Children’s Museum was America’s, and some argue the world’s, first museum designed for children. Even though children have participated in crafting exhibits from the get-go, the museum was always intended to engage children from a young age rather than cater strictly to an audience of children. First Saturday of every month, 5 p.m. to 11 p.m. The Brooklyn Museum is 560,000 square feet containing a collection of roughly 1.5 million works, making it the third largest museum in NYC based on physical size. Among its collection are antiquities from Egypt, Europe, Africa, Oceana, and Japan. Additionally, American Art dating back to the Colonial period figures heavily in the museum’s collection. There’s also a “Memorial Sculpture Garden,” which acts a final resting place for salvaged architecture from around the city. Pay what you wish, Saturday, 6 p.m. to 9 p.m.
With collections and exhibits that span over 240 years, Cooper Hewitt is the only museum in the US dedicated to design, both past and present. Founded in 1969, El Museo, as it is often known, is dedicated to the works of Latin America and the Caribbean, with particular attention paid to artists from Puerto Rico and the Puerto Rican diaspora. First Friday of every month, 6 p.m. to 9 p.m. The collection of wealthy industrialist Henry Clay Frick includes paintings by old masters, fine furniture, and sculptures spread among the 19 rooms of Frick’s mansion. Frick always intended for his home to become a museum, and many of the works are still arranged by his specifications. While not as large as NYC’s other museums, the Frick also has smaller, temporary exhibitions, which in the past have included such impressive gets as Vermeer’s Girl with a Pearl Eating and Fabrituss The Goldfinch. Pay what you wish, Saturday, 5:45 p.m. to 7:45 p.m. 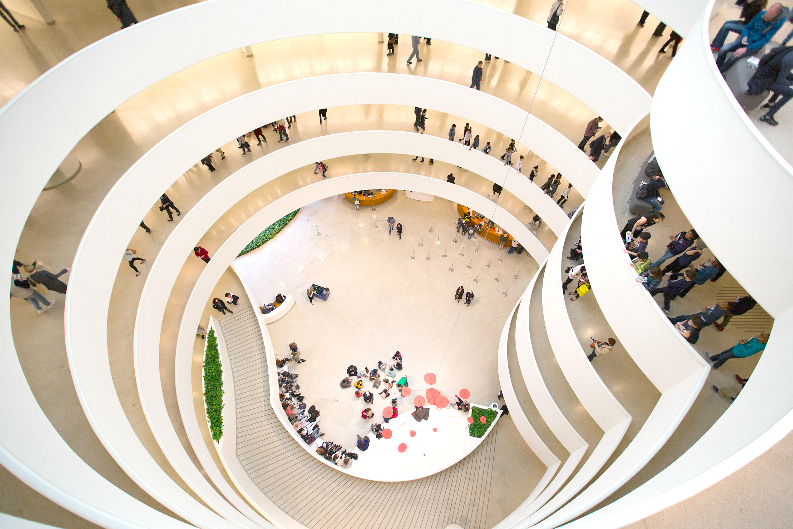 The Guggenheim collection is housed within an upward spiraling building designed by Frank Lloyd Wright. In addition to regularly rotating exhibitions, the Guggenheim’s collection contains an ever-growing collection of impressionist, post-impressionist, early modern, and contemporary artworks. The HSA is dedicated to exploring the art and culture of Spain and Portugal, as well as their former colonies in Latin America, The Philippines, and Portuguese India. Fridays 6 p.m. to 9.p.m. The Japan Society’s art gallery uses art to strengthen cultural bonds and understanding between the U.S. and Japan. America’s first Jewish museum is also the world’s oldest Jewish museum. With over 30,000 items in its collection, the Jewish Museum is the largest collection of Jewish art and culture outside of Israel. Housed in the former home of the Whitney Museum of American Art, the Met Breuer seeks to highlight modern and contemporary art. The MET’s world-renowned permanent collection has over two million items. It’s consistently one of the most frequently visited museums in the world. The Mmuseumm seeks to explore the modern zeitgeist by exhibiting artifacts that capture the present moment. Also, it’s teeny-tiny and exists in a Chinatown adjacent Alleyway, so you can get some great nosh afterward. Friday, 7 p.m. to 9 p.m. Originally a book depository meant to hold the private collection of J.P. Moran in 1906, the Morgan Library and Museum has grown into a museum and research center containing world renowned manuscripts. Pay what you wish, Thursday, 6 p.m. to 8 p.m.
MAD’s mission is to explore the means by which materials are shaped into the stuff of modern life. This entails exploring contemporary and historical accomplishments in the areas of craft, art, and design. As one can imagine, the MCNY is dedicated to the exploration and preservation of New York’s art and history. Friday, 4 p.m. to 8 p.m.
MoMA is one of the biggest and most important museums in the modern art world. It’s collection touches on every facet of modern and contemporary art. Attracting roughly 200,000 visitors per year since 2013, MoMA PS1 is one of the biggest museums of contemporary art in the U.S. The free admission does not cover concerts, performances, or ticketed events. The Museum of the Moving Image is dedicated to getting as many peepers peeping at the art, history, and craft of television, film, digital, media, and beyond. Housed in what was once the Alexander Hamilton U.S. Custom House, the National Museum of the American Indian is dedicated to exploring and preserving the legacy of America’s indigenous people. First Friday of every month, 6 p.m. to 8 p.m. The Neue Galerie New York is dedicated to showcasing early 20th century German and Austrian art and design. Pay what you wish Friday, 6 p.m. to 9 p.m. 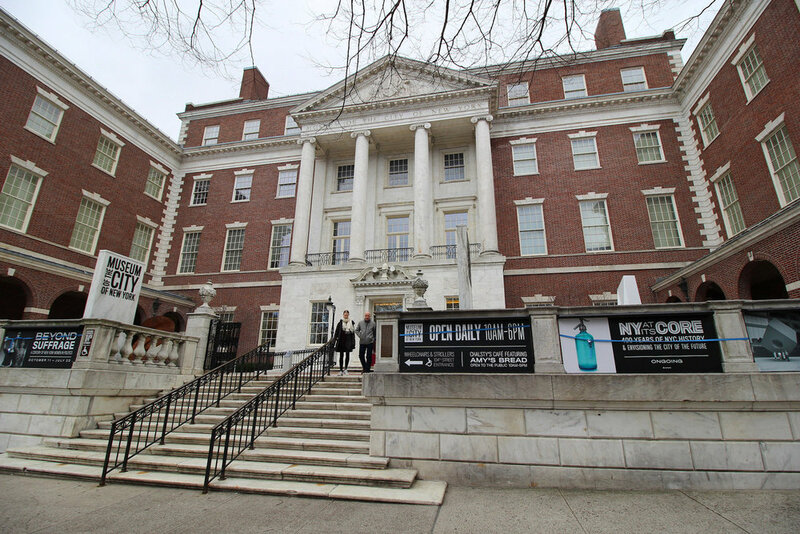 The New York Historical Society, New York’s first museum, was founded in 1804. It’s dedicated to exploring the history of New York and the United States. Pay what you wish, Thursday, 7 p.m. to 9 p.m. The New Museum is one of the globe’s few museums dedicated entirely to showcasing contemporary art. Plus, it’s walking distance from many NYC culinary institutions, including Joe’s Shanghai, Prince St. Pizza, and Café Habana, making it a great choice for a date night. The Queens Museum has roughly 10,000 items, over 6,000 of which are artifacts from the 1939 and 1964 World’s Fairs. This includes the Panorama of the City of New York, a regularly updated scale model of NYC. The Rubin Museum of Art’s mission is to preserve the art and culture of the Himalayas, India, and nearby regions, which a particular focus on the art of Tibet. The Studio Museum in Harlem is dedicated to artists of African descent. 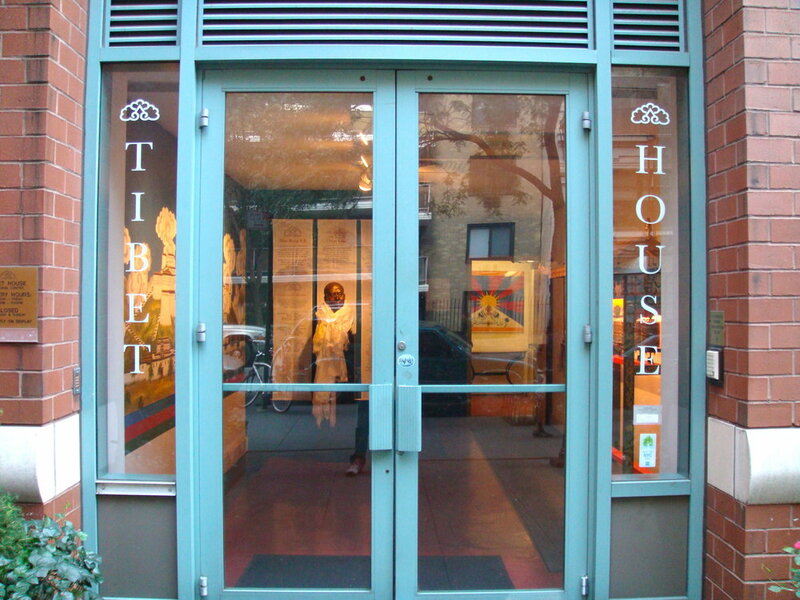 The Tibet House was founded at the request of the 14th Dalai Llama for the purpose of preserving, restoring, and presenting the art and culture of Tibet. The Museum at FIT is dedicated to preserving fashion of historical and aesthetic significance. Since 1977, Walter de Maria’s Earth Room has been on display at 141 Wooster Street. And since 1989, Bill Dilworth, an artist himself, has been the room’s caretaker. That’s 30 years of looking after dirt! Schomburg Center for Research in Black Culture is an archive dedicated to people of African descent. It hosts art exhibitions regularly. It’s no mistake that the Williamsburg Art & Historical Center’s acronym is WAH, which means “peace”, “harmony”, or, “unity,” in Japanese. That’s because founder Yuko Nii’s aim was to create space where creators of all backgrounds could come together to bridge their differences through the shared language of art. Pay what you wish, Fridays, 7 p.m. to 10 p.m. The bread and butter of the Whitney are its 20th and 21st-century American art, with a permanent collection of over 23,000 artifacts by more than 3,400 artists. The Whitney is also known for Annual and Biennial exhibitions that provide exposure for up and coming artists.